A perfect first tzedakah box! 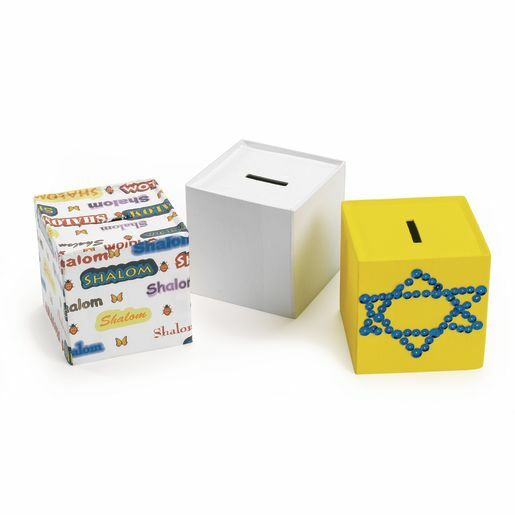 These ultra-sturdy papier-mache pushke boxes are a creative group activity for teaching about tzedakah (charity). (Pushke is Yiddish for: a donation collection box kept in the home.) Each has plastic stoppers at base. Set of 12, 4" cubes. Simple to decorate with glitter glue, confetti and collage materials - use your imagination!